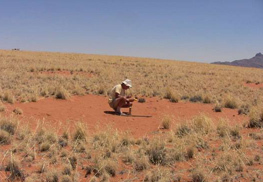 Mysterious bare spots called “fairy circles” dotting the sandy desert grasslands of Nambia have long stumped scientists who have no idea how they form. 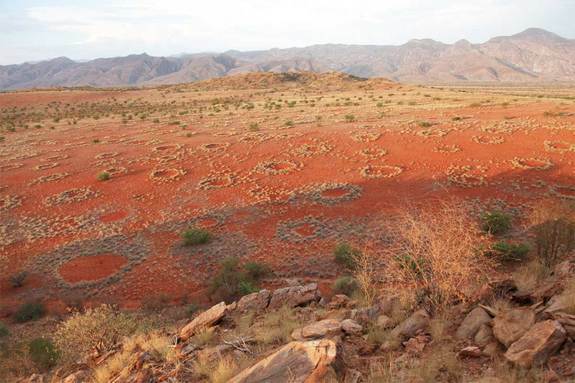 Fairy circles crop up in regular patterns along a narrow strip of the Namib Desert between mid-Angola and northwestern South Africa, and can persist for decades. 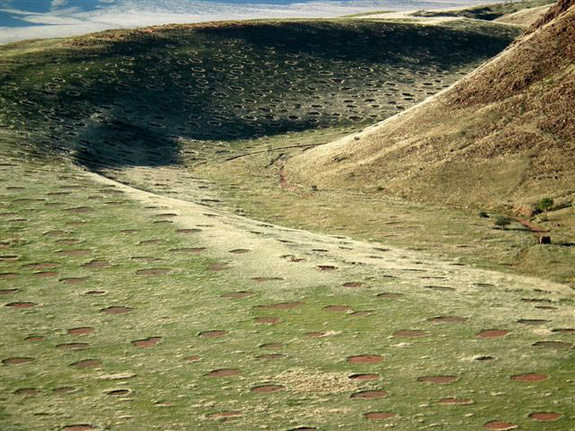 HuffPo reports the cause of these desert pockmarks has been widely debated, but a species of sand termite, Psammotermes allocerus, could be behind the mysterious dirt rings, suggests a study published yesterday in the journal Science. Scientists have offered many ideas about the circles’ origin, ranging from “self-organizing vegetation dynamics” to carnivorous ants. Termites have been proposed before, but there wasn’t much evidence to support that theory. 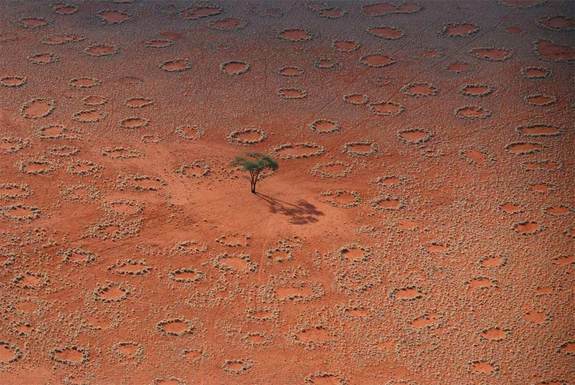 While studying the strange patterns, biologist Norbert Juergens of the University of Hamburg noticed that wherever he found the dirt patches (the barren centers inside fairy circles), he also found sand termites. 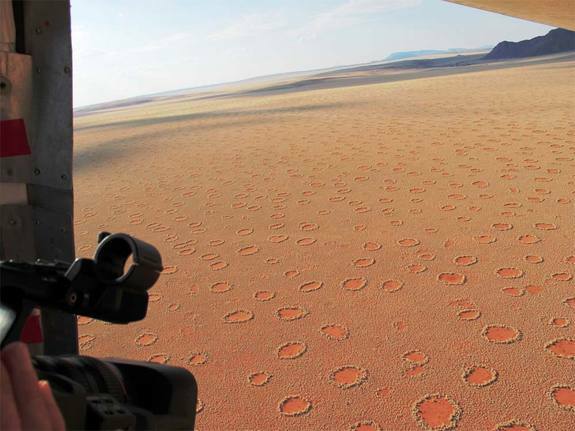 According to LiveScience, the smallest fairy circles are about 6.5 feet (2 meters) in diameter, while the largest can be almost 40 feet (12 m) across. Eventually, plants move back in, re-colonizing the circles and leaving only slightly indented “ghost circles” behind. And a study published June 27, 2012 in the journal PLOS ONE, suggested the small circles stick around for about 24 years, while the larger ones stay put as long as 75 years. 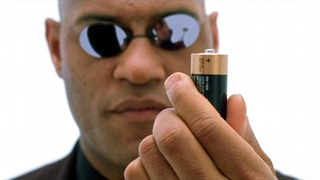 Did you know … someday the heat that YOU produce might power your personal electronics..?! 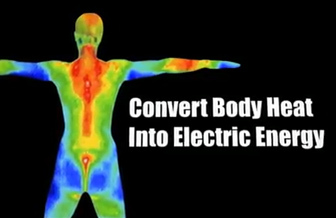 Spectrum reports Perpetua Power’s TEGwear Technology is developing a chip that converts body heat into electric energy . “We absorb the heat from your body, and that heat is funneled through a thermoelectric generator that converts it into electric power,” says Perpetua Power Vice President Jerry Wiant. The result: a single, square-inch TEGwear chip generates enough power (up to 3 volts) to run anything from the accelerometer in your pedometer to the wireless headset for your smartphone. TEGwear-powered devices are still in development and won’t hit the market until 2014. But this clean technology has many potential applications, from mobile health to national security. The company demo’d the device on a new Swatch Touch watch at the annual Consumer Electronics Show in Las Vegas a few months ago. In addition, they have a grant from the National Science Foundation to develop a prototype wristband to track Alzheimer’s patients as well as funding from Department of Homeland Security’s Science and Technology Division to power wearable devices used for surveillance operations. They have also partnered with several private companies to develop body-powered smartphone accessories (like headsets), health-monitoring devices (such as wearable heart-rate monitors), and military applications (like monitoring a soldier’s vital signs and location while on a combat mission). Sounds kinda Matrix-ish … with very cool potentials for the preparedness industry. 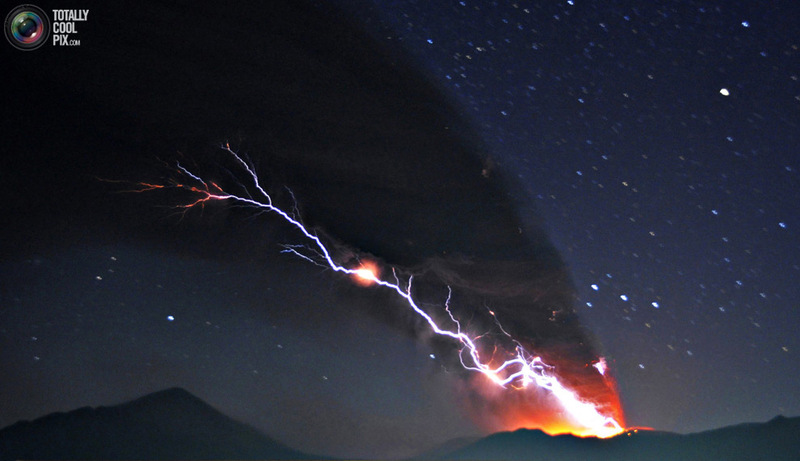 Although we did a Friday Foto post on volcanic eruptions last month, a new study suggests that mega volcanoes may have led to the extermination of half of Earth’s species some 200 million years ago. According to LiveScience, the release of gases from giant eruptions caused climate change that led to the End-Triassic Extinction, the widespread loss of land and sea species that made way for the rise of the dinosaurs, the research says. The new study, published Thursday, March 21, in the journal Science, shows that a set of major eruptions spanning from what is now New Jersey to Morocco occurred very close to the time of the extinction. Scientists suspected previously that such volcanic activity and the resultant climate change were responsible for this major extinction and at least four others. But researchers weren’t able to constrain the dates of the eruptions and extinctions well enough to prove the hypothesis. The new study, however, dates the End-Triassic Extinction to 201.56 million years ago, the same time the volcanoes were blowing their tops. A volcano is a mountain that opens downward to a reservoir of molten rock (like a huge pool of melted rocks) below the earth’s surface. 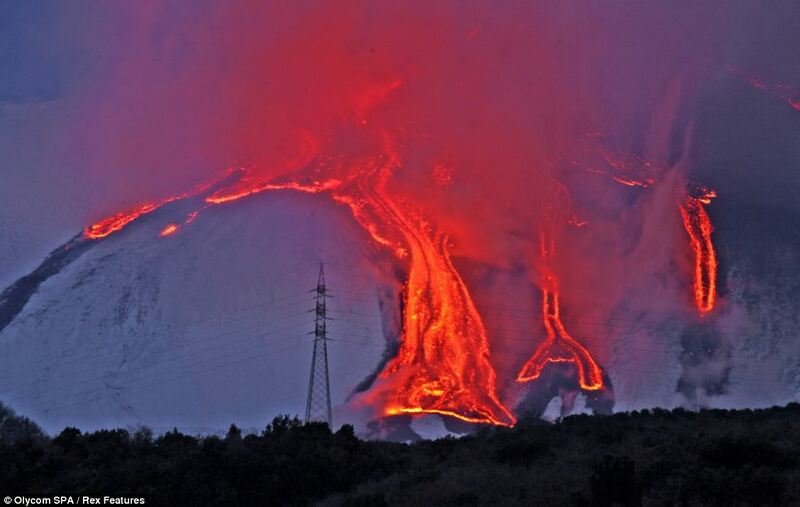 Unlike mountains, which are pushed up from the earth’s crust, volcanoes are formed by their buildup of lava, ash flows, and airborne ash and dust. 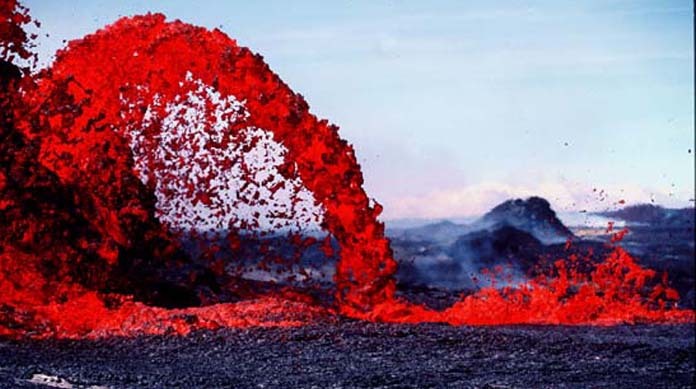 When pressure from gases and molten rock becomes strong enough to cause an explosion, it erupts and starts to spew gases and rocks through the opening. Volcanic eruptions can hurl hot rocks (sometimes called tephra) for at least 20 miles (32 km) and cause sideways blasts, lava flows, hot ash flows, avalanches, landslides and mudflows (also called lahars). They can also cause earthquakes, thunderstorms, flash floods, wildfires, and tsunamis. 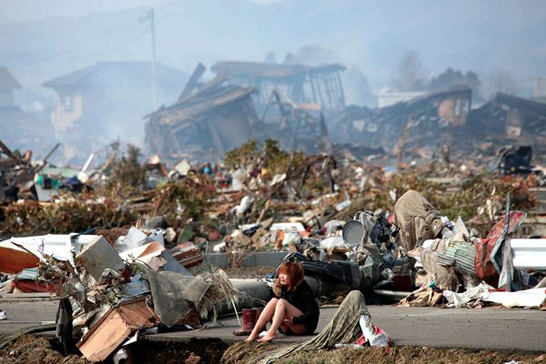 Sometimes volcanic eruptions can drive people from their homes forever. 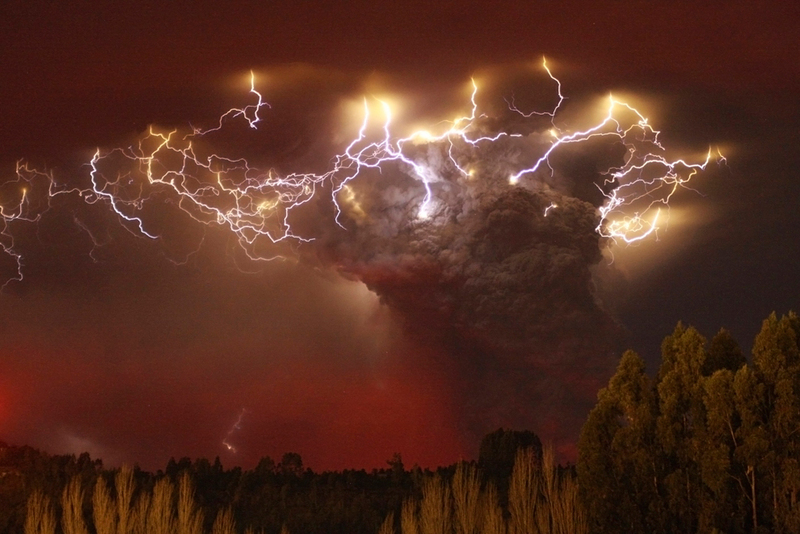 at least 20 volcanoes will probably be erupting as you read these words?! 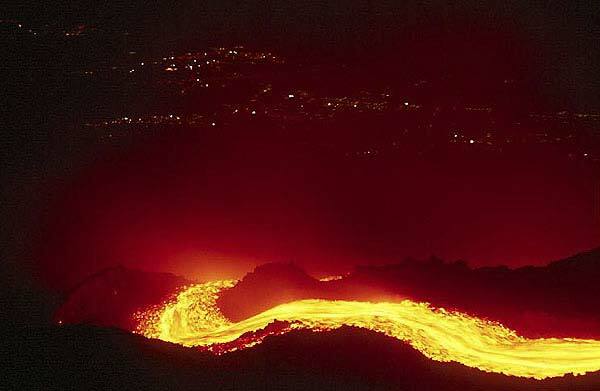 For example, Italy’s Stromboli has been almost continuously erupting over 2,000 years. there are an estimated 1 million volcanoes on the ocean’s floor that pump out roughly 3/4 of the lava reaching the earth’s surface?! 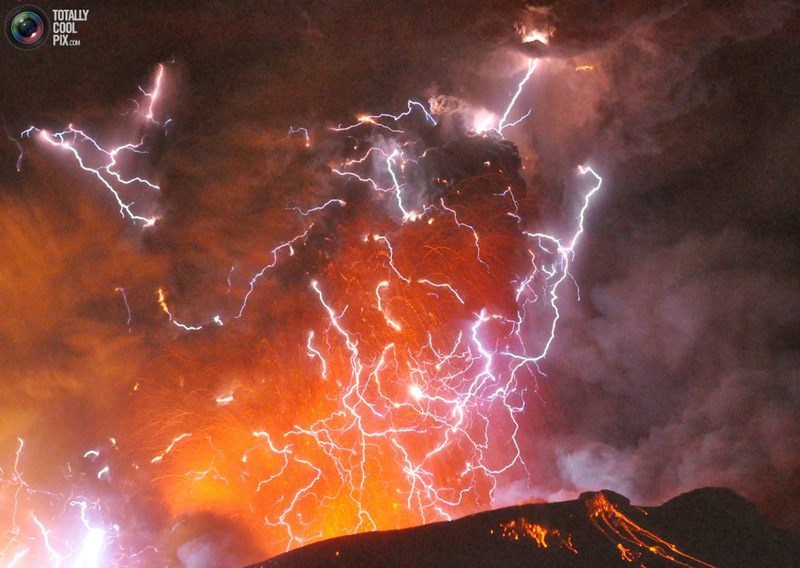 the “Ring of Fire” that encircles the Pacific Ocean has about 450 historically active volcanoes?! more than 65 active or potentially active volcanoes exist in the U.S. and over 40 of them are in Alaska?! Yellowstone National Park actually sits on top of a supervolcano which erupted 3 times in the past 2 million years forming 3 massive calderas (or huge craters). The largest one — Yellowstone Caldera — is more than 60 miles (100 km) across. Some other large calderas formed by supervolcanoes are in Alaska, eastern California, Indonesia, Japan, New Zealand and South America. We included FloodSax as a “Cool Link / Idea” in our March enews, but we wanted to share more about them here since this is such a revolutionary product. Plus, since it is National Flood Awareness week (March 18 – 22, 2013), this is a perfect opportunity to share tips about things you can do to help protect your home and property from water damage. Floods can happen anytime and anyplace. Some floods develop over a period of several days, but a flash flood can cause raging waters in just a few minutes. Spring brings its share of flood events due to snowpack melt, ice jams and heavy rains as the temperatures begin to rise. Communities use sandbags as a simple, inexpensive and effective way to prevent or reduce flood water damage, but it requires an army of volunteers and massive logistics to shovel tons of sand (or gravel or silt) into burlap or plastic bags and place them strategically around homes and businesses to keep rising waters at bay. 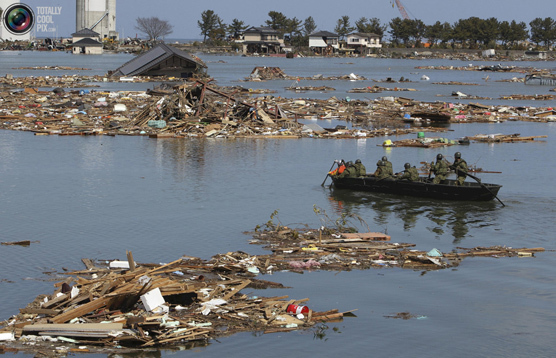 But sandbag construction does not guarantee a water-tight seal, plus certain types of bags are not biodegradable making the disposal process a major ordeal for communities. FloodSax is the sandless sandbag that is revolutionizing the way homeowners, businesses and agencies prevent and reduce damage from floodwaters. At only one pound, FloodSax avoid the storage, transport and placement problems of traditional sandbags, keep water at bay for 3 months, and are biodegradable. FloodSax are stored dry and flat. A case of 20 FloodSax weigh less than a single 45 lb. sandbag, making delivery to the flood barrier location much faster and easier than with sandbags, allowing for greater protection in less time. In fact, one case of FloodSax equals 900 pounds of sand. When FloodSax come into contact with water their semi-porous inner liner has hundreds of biodegradable polymer crystals that absorb up to 5.5 gallons, equal to 45 pounds of water, in just five minutes, making them more taut and more water-resistant than a sandbag. Plus these sandless sandbags allow agencies to deliver and deploy sandbags much faster than is possible with traditional sandbags since there is no need for large trucks, massive amounts of sand and tons of volunteers to fill bags saving communities money, time and property. FloodSax empowers virtually everyone regardless of age or ability to take action in protecting homes, businesses or communities from floods and accidental water damage. Learn more at www.floodsax.us.com or contact them at 1-888-258-2142. Did you know… a breath test similar to the one used to determine when a driver has had too much to drink shows promise as a screening tool for cancer?! Recently scientists have successfully trialed a simple breath test to detect stomach cancer, using a new type of sensor made of nanomaterials. The first trial of the device was small, involving 130 patients with a range of different stomach complaints, but it proved to be more than 90% accurate in differentiating between cancer and other diseases. It was also over 90% accurate in detecting which were early-stage cancers and which were advanced. And a small study from Italy released December 2012, researchers were able to identify patients with colorectal cancer with an accuracy of over 75% by analyzing samples of their breath. Since the Middle Ages doctors have known that the aroma of breath can help detect what may be wrong with a patient. For example, there is a sweet smell of acetone in patients with uncontrolled diabetes, the fishy odor to advanced liver disease, as well as a urine-like smell that comes when kidneys are failing. “The technique of breath sampling is very easy and noninvasive, although the method is still in the early phase of development,” researcher Donato F. Altomare, MD, says in a statement. Similar research is under way to develop breathalyzer-like devices to detect lung, breast, prostate, and other cancers. 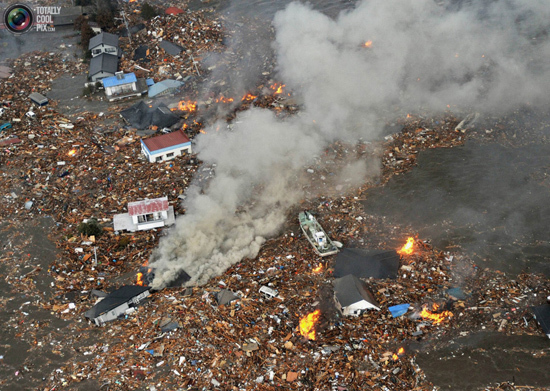 This past Monday March 11, 2013 marked the 2 year anniversary of the devastating earthquake, tsunami and nuclear power plant disasters in Japan. 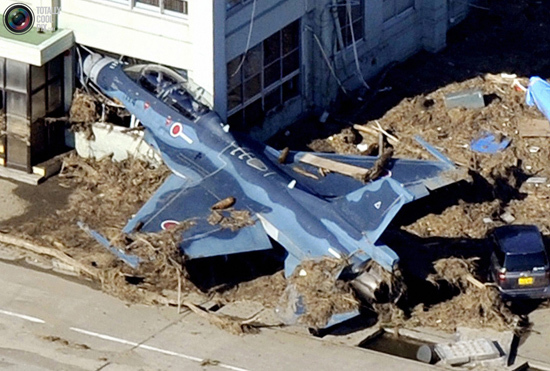 6 = approximate number of minutes the shaking lasted during the 9.0 earthquake in Sendai (80 miles or 130 kilometers west of the epicenter). 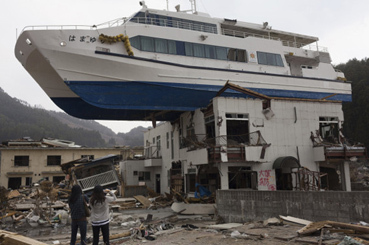 It’s also the number of miles the tsunami traveled inland in areas. 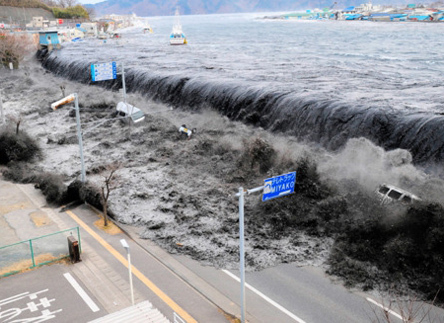 133’ = the massive tsunami that slammed parts of Japan reached heights up to 133 feet (40.5 meters) in some places! 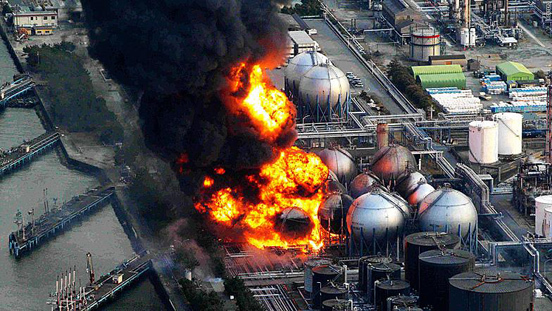 The waves that struck the Fukushima reactors were almost 46 feet (14 meters) high. 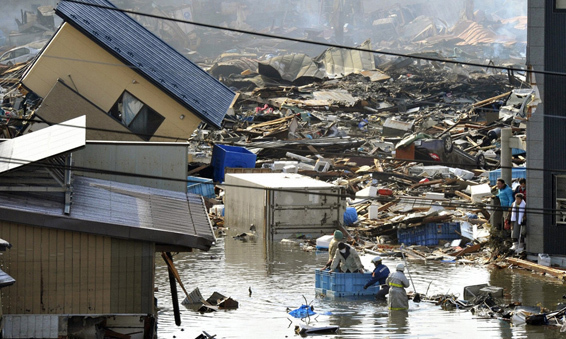 19,349 = Total number of magnitude 3.0 or higher earthquakes in and around Japan in 2011 (total from Jan 1 – Dec 31, 2011). 386,739 = number of homeless people at one point. Also read our March 2012 Updates and Arigato from Japan enews article with more stats and resources. Did you know MRSA kills more Americans each year than AIDS? Staphylococcus aureus (pronounced staf-ill-oh-KOK-us AW-ree-us), or “Staph”, is a very common germ about a third of the population carries on their skin or in their nose. This bacteria does not cause a problem for most people who have it on their skin, but sometimes it can cause serious infections. Methicillin-resistant Staphylococcus Aureus (MRSA) is a type of staph bacteria that is resistant to many antibiotics so is sometimes called a “superbug”. In the community, most MRSA infections are skin infections that are minor (like a pimple, bump or boil) and can be treated with antibiotics. However, it can quickly turn into deep, painful abscesses that require surgical draining. Sometimes the bacteria remain confined to the skin, but they can also penetrate into the body, causing potentially life-threatening infections in bones, joints, surgical wounds, the bloodstream, heart valves and lungs. The vast majority of serious infections are linked to health care exposure like hospitals and nursing homes. A few years ago the CDC and The Journal of the American Medical Association reported MRSA is killing more Americans each year than AIDS. That year there were nearly 19,000 MRSA deaths while roughly 16,000 people in the U.S. died from AIDS. According to WebMD, bug bites, rashes, and other skin conditions can sometimes be confused with MRSA because the symptoms may be similar: red, swollen, warm, or tender. 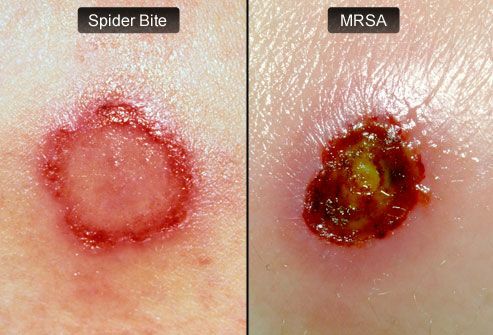 ER doctors routinely ask patients who arrive with a painful spider bite whether they actually saw the spider, because these “bites” so often turn out to be MRSA instead. When a skin infection spreads or does not improve after 2-3 days on usual antibiotics, it may be MRSA. MRSA can spread through physical contact with an infected person or something you’ve touched. Conditions that help to spread MRSA include: close skin-to-skin contact; cuts or scrapes in the skin; sharing personal hygiene articles such as razors and towels; and contact with contaminated items including door handles and athletic equipment. Staph infections, including MRSA, occur most often in hospitals, nursing homes and facilities where people have weakened immune systems. MRSA also threatens police, firefighters and EMS workers, school kids and the community in general. It also appears MRSA has jumped from humans to household pets, where it can linger without obvious symptoms — and possibly reinfect the pet owners. Only community-acquired strains have been found in cats and dogs so far. And WebMD reports MRSA has been found in the sand and water at beaches in Washington State. What to do to reduce the spread of MRSA (and other infectious diseases)..
Wash hands often using soap and water or use hand sanitizer (with at least 60% alcohol in it) to reduce the spread of germs. But keep in mind sanitizers don’t work against some bugs like C. diff so it’s best to wash up. Tell healthcare workers and visitors to wash their hands before they touch you or your stuff — don’t be timid! Also remember staph can reside on stethoscopes, blood pressure cuffs and other medical devices so ask if they’ve been cleaned lately. Use antibiotics only when absolutely necessary. Consider boosting your immune system to help fight infections. Keep cuts and scrapes clean and covered until healed. Clean counters, doorknobs, fixtures, phones, remotes, nurse call buttons, linens, etc. often with a bleach solution. Don’t share silverware, razors, clothing, towels, or bedding and wash objects with soap and hot water. You are currently browsing the Fedhealth blog blog archives for March, 2013.